Chen is the oldest and Sun the youngest of the five major Tai Chi styles. This article will give a brief outline of the characteristics of the two styles and then compare the similarities and differences. This will help us understand the two styles and Tai Chi principles in general better. Copyrights Dr Paul Lam. All rights reserved, copying for non-profit educational purpose permitted. Recently, I asked a group of my senior students what they thought the similarities between Chen and Sun Styles were. An answered came almost immediately, “Nothing”. It is interesting to note that this student has been proficient in Chen Style and has only just learnt the Sun Style one year ago. I can understand his answer because when I first saw Sun Style, I did not notice many similarities outwardly and only after gaining a in-depth knowledge of Sun Style, I realised the strong internal similarities of these two very outwardly different styles. Yang Style is the most popular Tai Chi style. In recent years, Chen and Sun Style have become better known. I believe it is the interesting features and unique characteristics of these styles that attract people. Some practitioners wanted to try different styles, as an alternative route of improvement and some simply wanted to try something new. Many people pursue the Chen style because of their interest in martial arts application, its richness in techniques. I was a “mad enthusiast” of Chen years ago. Likewise, many people pursue the Sun Style because of it’s Qigong components and great health benefits. Now I am just as enthusiastic about both styles and have found them complimentary to each other. The creator of Chen Style was a retired army general, Chen Wanting who utilised military training as part of his basis to create Tai Chi. In the early days, Chen Style Tai Chi practitioners were well-known martial artists, army generals, military trainers, etc. So the style’s outward appearance is clearly very martial arts orientated (see History of Tai Chi for more details). Chen Style movements are more obviously applicable to self-defence. There are fast and slow movements intermixed with softness and hardness complimenting each other. There is much emphasis on internal power and spiral force (chan ssu jin). Many movements involve jumping in the air, kicking, punching and different ways of delivering force and multiple techniques of attacking, holding and controlling your opponent. Chen Style is more demanding physically and usually executed with a lower stance. It is generally suited to and liked by younger and physically stronger practitioners. The creator of Sun Style, Sun Lu-tang was about 50 years old and was a well-known expert of two other internal styles (Baguaquan and Xingyiquan) before he learnt Tai Chi. So naturally, the style has the advantage of the influence of the two other internal styles. Sun described his Tai Chi as using Baguaquan’s stepping method, Xingyiquan’s leg and waist methods and Tai Chi’s body softness . Sun Style has a higher stance, less kicking and punching, all movements have the same tempi, and a very strong Qigong emphasis making it more popular with older practitioners. When the Chinese Sports Committee decided to standardise the official competition set of the four major styles, namely, Chen, Yang, Wu and Sun Styles, Sun was certainly the least known form. However while it is not as spectacular in outward appearance as Chen style, once a learner passed through the surface one soon got hooked with its depth. When you view both styles, their outward appearances are so different that to many it is hard to find similarities. However both styles follow the same essential Tai Chi principles, share many common ground in the structure of the forms, the execution of movements, and their benefits to health and self-defence. I will discuss each of these. Using the mind to direct the movements – both styles emphasise Tai Chi as an internal art with the conscious mind (yi) directing the Qi, and the Qi to control the internal force (jin) and the internal force to move the body. Even at the outwardly harder Chen style movements, its inner power is elastic and spiral. A harsh force will be easily broken and less effective in martial art. Qi Cultivation is the ultimate aim in both styles. Internally, the movement of Qi in relationship to breathing is the same. When performing an opening movement, breathe in as Qi moves upward; and with a closing movement, breathe out as Qi sinks down to the Dan Tian. Body postures follow the same requirement: body upright without being tense; chin tuck in slightly, consciously and gently push the crown of your head upward (ding jin), loosening of all the joints; chest not to push out and Qi to reach the back and so on. Transference of weight is clearly defined, although Chen style is less obvious to the observer (to make it more difficult for the opponent to unbalance you). All movements are fluent, continuous, contain internal force and at all times in control. This stage is described by many Yang stylists as moving as though the air is dense, Sun Lu-tang said that you should move as though you were inside water with your feet on the ground and against the resistance of water. Both descriptions are similar, both describe the execution of most of the movements in Chen and Sun styles. In essence both styles are internal martial arts, self-defence is an essential requirement. As internal art which strength both body and mind they are both excellent exercises for health. To be efficient in martial art one needs to be strong to deliver force, to absorb incoming force, as well as keeping your mind clearly to concentrate well. All these are also beneficial to mental and physical health. There are some differences of emphasis on health or self-defence by the two styles; I will discuss this later. Most Tai Chi sets follow similar constructions, initially a warming up, then working up to a climax, and follow by slower movements. Both sets, Sun Style 73 Forms and the Chen Style 56 Forms, contains two climaxes and then the slower winding down movements before finishing. One of the main characteristics that set Tai Chi apart from external martial art is that Tai Chi is artistic in its self-defence rationale. Fighting in a blow-to-blow fashion is brutal, and will result in injury for both parties. Whereas Tai Chi works on controlling your opponent, to be yielding, absorbing and re-directing the incoming force, making use of the opponent’s force to achieve effective control. The exact movements are different but both styles follow the same rationale. I will analyse several movements to illustrate three of these aspects from the Sun Style 73 Forms and the Chen Style 56 Forms . I have chosen the modern Forms not because the traditional Forms are better or worse, it is my understanding that the modern Forms are more standardised therefore easier to established a common ground. I don’t believe there should be a clearly defined line between traditional and modern Forms, both follow the same fundamental principles of Tai Chi. Sun Style is characterised by one foot following the other i.e. when one foot moves forward, or backward, the other foot follows. This is evident throughout the whole set, typically illustrated by the movement Brush Knee and Twist Step (movement 10 of Sun style 73 Forms). Picture 1 and 2. The advantage of following your steps is that instead of stretching your body with bigger steps as in executing a bow stance, the quick following steps enable you to be in an advantageous position with regard to balance, agility and flexibility. Also as your back foot step forward, it generates new force when the foot touches and push down the ground. In Chen Style, the Double Cannon Punch (Form 25 of the Chen Style 56 Forms) follows the same principle. (See Picture 3 and 4) By following steps it also facilitates the issuance of force. Pushing down the back foot as you step forward generated a new force, the force is then transferred to the leg, hip, waist, body and deliver through both hands. Cannon Punch generates quick and crisper force, while Brush Knee and Twist Step of Sun style has a much more subtle force, nonetheless both forces are just as powerful. There is a belief that your foot needs to be flat on the ground before you can generate force. This is not true for these movements, in fact throughout the Sun style 73 forms, force is generated frequently from the same way. If you study both of these movements, the essential point is that when the back foot touches ground, the ball of the foot pushes downward to generate force. Try to generate force with the front foot, which is fully on the ground, there will be much less power and in fact cause you to unbalance. It is interesting to experience the difference of generating power with only the ball of the foot to the whole foot, it is quicker (you don’t have to put the whole foot on the ground) and smoother. This is consisting with Sun’s characteristic of flowing like water in the river. and Chen’s Form 27 Flashing Back (picture 6). Please note these two names are the same in Chinese, somehow the translation changes them. In Sun style Fan Back, raising from a bending down position, the body turn slightly to the right, the back foot generate force which travels in a gentle spiral to the waist, trunk and deliver through the left hand. The spiral force here is small and subtle, you wouldn’t notice it unless you are watching it carefully. When practising this movement it is important to incorporate the spiral force into the movement otherwise it will lack internal power. In the case of Chen’s Flashing Back, the body turns around 135 degree, with the swing of the body the force comes from the foot stamping, to the waist and again expressed through the left hand. The swing here is much bigger, the force is faster and with more curve in the spiral. The spiral force is evident, generated from the stamping of ground of the right heel. Sun’s appears very subtle, whereas in Chen Style it is more obvious, nonetheless both styles deliver a similar internal force. While Sun Style does not contain Spiral Force as comprehensively and obvious as Chen Style, it is still evident throughout the set of Forms. For example: Form 58 Fair Lady Working At the Shuttles (picture 7), at any of the first three corners, one hand blocking an incoming punch, the other attaching side way toward the arm pit. The blocking arm with elbow sinking down, the upper limb twisting outward in a spiral, the attacking hand is almost “hidden” under the armpit, the upper limb making small twisting movement inward in another spiral, the trunk as it follows the turn of the body to form yet another spiral force. The front lower limb twisting outward and the back one following step and twisting inward to form five spiral forces. Smaller and subtler than Chen style but the mechanism of spiral forces is there. Compare to one of the earlier movement of Form 2 Golden Guard Stamping Foot, Chen style (picture 8), spiral force through the form is obvious and powerful. As shown by this picture, right upper limb spiral outward and backward while right hand holding to the opponent’s right hand to re-direct the incoming force. The left hand is controlling the opponent’s elbow, moving in spiral downward and slight forward; while left foot brushing ground forward in an inward spiral (to step behind opponent’s right heel to control his foot) and the left lower limb moves in a outward spiral together with the trunk twisting to the right as another spiral force. Five spiral forces of different direction like five bows to culminate the attack. My senior student was right that there are many differences between both styles. Among others, the execution of movement, self-defence and health aspects all have some significant differences. Essentially, Sun style has the same tempi. The movements are continuous, slow, even and with agile steps. Chen style has changing tempi, slow movements to gather force and fast movements to deliver force (fa jin). Chen style often expresses explosive force while Sun style has a softer inner force throughout. Physical exertion is as important as mental focus in Chen style whereas in Sun style mental focus (using the mind and not force) is much more important than physical exertion. Chen places strong emphasis on self-defence, the movements are very close to self-defence application. Once you have learnt the movements, even without reaching a higher level with strong inner force, you can still utilise these for self-defence. Whereas Sun style places more emphasis on inner and softer power, the movements are designed to culture Qi effectively. Unless you reach the higher level in possession of strong inner power like Sun Lu-tang already had when he learnt Tai Chi, you cannot use the movement for self-defence effectively. I found that learning Chen style without a background of softer style (eg. Sun or Yang), one could easily fall into the trap of becoming fixed with hardness. Being predominantly hard will hinder your progression to reach a higher level of balanced soft and hard inner forces (the balanced force, like Yin and Yang in balance has much more power). Whereas it might takes longer to learn a soft style such as Sun’s to reach a level high enough for self-defence, you can always add hardness and fastness later. 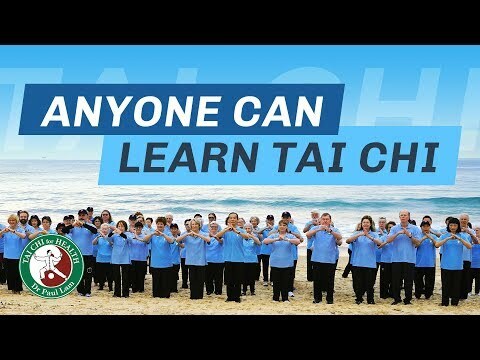 While all Tai Chi of different styles improve health, it is harder for older people to learn Chen style as it is more vigorous and requiring lower stances. Practitioners of Chen style are more likely injure themselves in training. I understand a lot of Chen style practitioners have injured their knee joints. There was a saying in the old days that to graduate from the movement Golden Guard Stamping Ground, you should practise stamping on a flat stone, and when you bore a hole through the stone you would become proficient at this movement. I am not too sure how many people have really followed this method. If anyone follows it, one will have a good chance of crushing one’s menisci (the little shock absorbent disks inside the knee between the bones) before a hole is bored on the stone! There are many stamping grounds, jumping in the air and bending down like Falling Lotus (both legs on the ground) type of movements in Chen style. These movements require special precaution and method of training to avoid injury. Whereas in Sun style, the constant following step help you not to put too much physical pressure on the knees. This is especially protective for older folks and people with arthritis of knee. The method of following step in Sun style improves mobility therefore helpful for people with arthritis. I will illustrate three aspects of differences between the styles with movements. a). Higher Stances – In Chen Style almost all movements are characterised by lower stances. For example: Form 2 Golden Guard Stamping Foot, Chen style (picture 8). The low stance generates a strong power, whereas in Sun Style, Picture 1 and 2: Brush Knee and Twist Step (movement 10 of Sun style 73 Forms), the stance is much higher and the emphasis is intention and internal power. To achieve a lower stance and at the same time maintaining the body being upright is very difficult, many people work so hard to bend knees down low so that they end up with the buttocks stick out. This posture stiffens and spoils the alignment of the lumbar sacral vertebrae (the spine), block flow of Qi and power and could lead to back injury. Whereas in the higher stance of Sun style, it is much easier to maintain the upright and relaxed posture allowing Qi to flow and power to be generated. b). Speed and Tempo of the Movement – Chen Style has fast and slow speed intermixed. Most force delivering movements such as Double Cannon Punch are slow in gathering force but deliver it at lightening speed. Compared to the Sun Style, the complete set is executed with an even speed, as though it is flowing like water in a river, the speed does not vary. Sun Style is a little faster than Yang Style, perhaps because as earlier mentioned, it is using the stepping method of Baiguaquan which is well-known for fast step and moving faster than the opponent. c). The Qigong Component – While both Forms do have emphasis on the internal or the qigong aspect, the Chen Style Qigong places great emphasis in training of the spiral force which can be slow, elastic and sometimes be very explosive. That is why training involves lower stances and stamping grounds so that the Qigong is more dynamic containing soft and hard forces. Chen’s style qigong is more practical orientated for martial art. In comparison, the Sun Style Qigong is more meditative and is characterised by the Opening and Closing, Forms 3 and 4 of Sun style 73 Forms (picture 9 and 10) The Qigong emphases tranquillity, health and internal power, which is executed slowly and softly. Sun style Qigong uses spirit (shen) and conscious mind (yi) to control the Qi. Quietness and tranquillity are the goal for it training. Chen style on the other hand is more self-defence orientated. The training emphasises on delivering effective power. Sun style is more effective for health and healing, and Chen Style is efficient for self-application. It is fun practising both styles, finding similarities and differences and using the similarities and differences to improve both styles. I found that when I practised Sun Style, the softer part of my Chen Style improved and vice versa with other aspects. Understanding the deeper meaning of the forms makes me feel as though I am one little step closer to understanding Tai Chi. It fascinates me to think about what went through Sun Lu-tang’s mind when he created these forms. I enjoy appreciating the differences, discovering the hidden similarities, working them out improves my Tai Chi.